What does abundance really mean to you? You hear this word a lot but have you ever really thought about what ‘true’ abundance and wealth really is? And most importantly, how you may experience of it in life? Do you genuinely believe that abundance and wealth are possible for the different aspects of your life? The answer to these questions will be revealed by identifying and observing what is currently going on in your own life – financially, physically, emotionally, and spiritually. Although lots of people claim of having an exceptionally good life, this determination is often made from the traditionally taught and established perceptions and beliefs taught to you and are held by you… based on limited understanding about what the ‘Good Life’ really means and about the limitless resources that are available for anyone who is willing to thrive deeply enough in order to discover the real meaning of it. In reality, the achievement of abundance and real wealth is infinite in nature, but is equally available for anyone willing to identify and enhance their skills and ability to start choosing whatever it is that they prefer to experience. And yes, you are not an exception. As you will discover, your Source Energy (whatever you perceive it to be), consists of limitless supply for whatever you prefer to experience in life, provided that you choose to believe and conceive that you can and it will. Sadly, lots of people make choices unconsciously; they never understand why they’re unable to have that abundance, harmony, and fulfillment in life. – Are you having true happiness and abundance in life? 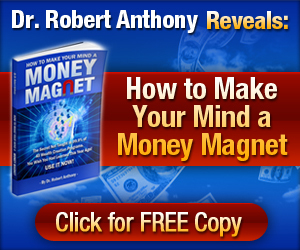 – Do you love your work and find it financially rewarding and fulfilling? – Do you have enough time for you to do the things you love the most? – Do you really have enough money for you to do all the things you want? – Are you enjoying wholesome, deeply satisfying and fulfilling relationships? 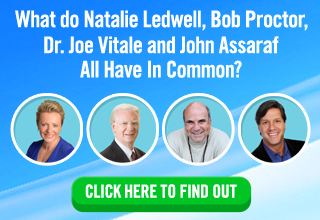 – Are you experiencing exceptional physical health? – Are your heartfelt dreams and desires fulfilled in the different aspects of life? If your answer to these questions is “NO”, then you’re not enjoying and experiencing the quality of life that everyone is capable of having. Abundance and wealth means different things to different people. For some, abundance may be identified as having lots of money. And based on others’ perspective and beliefs, it may actually mean something absolutely different like having an abundance of health, love, mental clarity and happiness. Having enough financial resources means a lot to people and it is a very essential facet of abundance and wealth in today’s generation. But money only makes up a tiny portion from the entire equation when it comes to ‘Real Abundance’. Unless all the other essential aspects of your life are aligned harmoniously, the experience of real abundance and the subsequent fulfillment will elude you and attaining it will appear to be impossible. Lasting, true abundance and wealth will result from a perfect balance in the fundamental areas of your life.